I had the pleasure of laying over in Dubai for a short visit and thankfully was able to sneak a peek at the world’s tallest building, the Burj Khalifa. This amazing structure stands 2,716 feet tall with 57 elevators, 8 escalators and 2,909 stairs leading to 163 floors! The building was built by the famous Chicago based architectural/engineering firm of Skidmore, Owings & Merrill along with Adrian Smith as the consulting design partner. 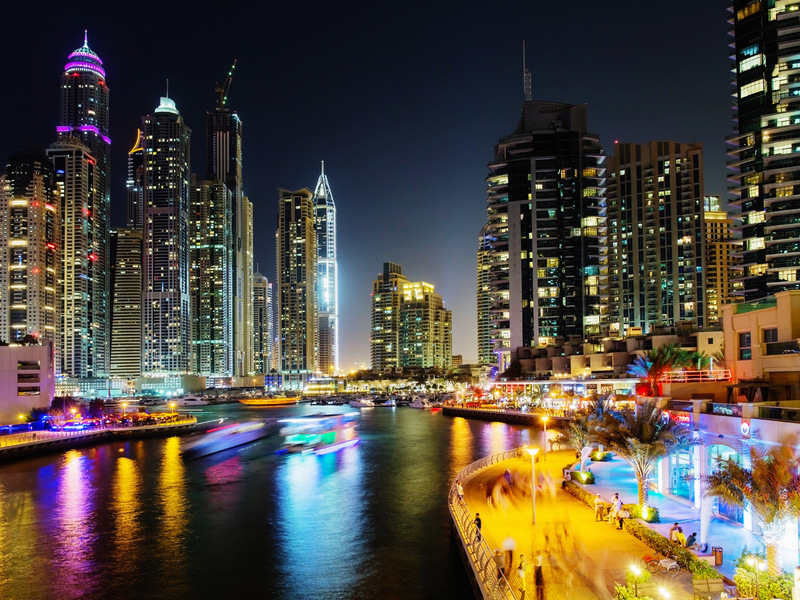 Dubai reminds me a lot of Las Vegas with its glitzy lights and numerous buildings. However, it differs substantially in its cleanliness, designer taste and high fashion. I honestly didn’t know what to expect especially since I arrived later in the evening. Yet, I felt very safe walking around the area at 10:30 at night as the people are friendly and helpful. While it was very different than what I am used to, I realized different does not mean bad or wrong. Who am I to judge anyway? I may not fully understand the intricacies of their religious beliefs or culture, but I respect them just as they respect me and I truly appreciate Dubai’s beautiful surroundings, their traditional food and their cultural music.